Great for avoiding blisters during exams! Very comfortable and stylish. On small caveat, they are rather tight and hard to get onto a normal no 2 pencil. However, if you cut them in half you can slide them much more easily. 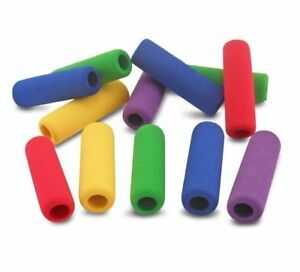 My 6yr old needed pencil grips because her pencils she uses for school were hurting fingers. These worked great for her.